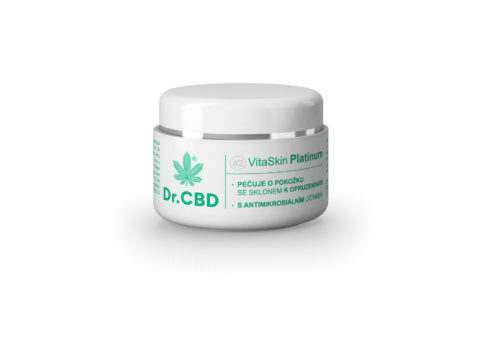 Rich composition of the balm with zinc oxide content and natural substance CBD (cannabidiol) sooths and nourishes the skin, which reamins soft and dry. VitaSkin Platinum helps to restore the skin barrier for a skin with a tendency to soreness, eczema, acne, haze, etc. The balm helps to regenerate damaged tissue. VitaSkin Platinum immediately absorbs into the skin and does not leave a greasy feeling. The result is a soothed skin without irritation and tension. Treat yourself with a natural care from VitaSkin Platinum.